China Industrial Valve Manufacturer & Exporter-gate valve, globe valve, check valve, ball valve, butterfly valve, strainer etc. Welco valve is one of the leading valve manufacturers in China which specialize in design, manufacture, sale and after-sale for industrial valves, such as ball valve, butterfly valve, gate valve, globe valve, check valve, bellow seal valve, pressure seal valve, API 602 forged steel valve, API 603 corrosion-resistant valve, strainer. With 120 staffs and 200 sets of precise equipments, the advanced numeral control equipments ensure all internal parts accurate and excellent at a long-life service. It makes Welco valve company prosperously year by year, and its products have been exported in the world widely, such as Canada, USA, Mexica, Brazil, Spain, Italy, France, UAE, Iran, Syria, Saudi Arabia and so on. 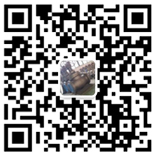 The application are field of oil, gas, refinery, chemical, marine, power station, dirty water processing, pipeline industries, and it always won high reputation. It has a modernized working team for our valve product technology research & development. They strictly comply with ISO9001 procedures in every step. And now Welco valve company has capability of manufacturing high temperature and high pressure valve series for ball valve, gate valve, globe valve, check valve, butterfly valve. Diameter of valves range from DN15 to DN2400 (1/2" - 96" ); design working pressure from 0.6 MPa to 42 MPa (125Lb to 2500Lb); and working temperature from -196 Celsius degree to +600 Celsius degree; the main body uses WCB, WCC, C5, WC6, WC9, C12, CF8, CF3, CF8M, CF3M, LCB, LCC, LC1, A105, LF2, F304(L), F316(L), F5, F11, F22, F51; the actuation type includes manual type, gear type, electric type, pneumatic type, hydraulic type; gas over oil type, manufacturing standards adopt domestic and foreign standards such as GB, API, ANSI, API, ANSI, JIS, ISO, DIN, BS and NF. The company has full precise casting moulds for internal parts, integrated physical and chemical analysis instrument, experimentation equipments and testing methods, as well CAD design capability, which ensure our quality always in top level. The company provides better and better quality commitment, insists on quality first, service sincerely. As a supplier of manufacture, techology research, sale and service integrated all in one, we sincerely expect to servie the industry of flow control. If you have any queries, you could find answers from our engineers team, also we sincerely wish we can shake hands and creat a flourishing future in future. All Welco valve products have to meet a very high standard, set by stringent quality specifications and norms in our valves factory. Copyright © 2017 Welco Valve, All rights reserved.